Electronic Control Units (ECUs) of platforms/plants need extensive testing in a realistic environment, in closed loop, at early stages of development. But, practical experiments can be very expensive and are often difficult to accomplish, as testing the behaviour of the Control Unit in extreme manoeuvres or failure situations is often dangerous and may not be comprehensive. Hardware-In-Loop Simulation (HILS) provides a standard approach to replace test experiments and thus reduce development cost & time. With HILS, the Control Units are tested and compared in closed loop with real-time simulation models replacing the platforms such as: Launch vehicles, Air crafts, Missiles, Tanks, Torpedoes, Satellites etc. The real-time speed of the simulated platform/plant can be achieved by high performance Processor boards for number crunching associated with the simulation model(s) and high speed, high resolution I/O boards for interface with outside world. 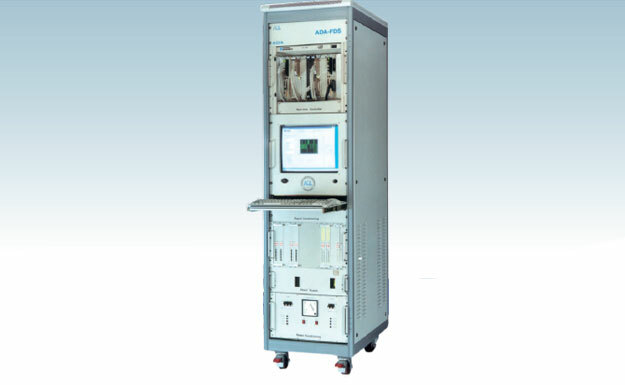 The RT-HILS developed by ACL provides the real-time hardware & software environment for accomplishing the dynamics of HILS. The System has been conceived taking into account the generic capabilities desired for Real - time HILS applications. It's configuration is realised to adopt State of art Technology, open System Architecture, comply with standards and to provide robustness & reliability through Judicious mix of Commercial-of-the -Shelf Products and signal conditioning designs. The standard ready-to-use configuration of the RT-HILS is shown in figure below. Processors : Dual Embedded Pentium controllers each working @ 450 MHz, 192MB RAM, 4GB HDD, 3 ½" FDD, AGP Video, Real-time Clock, Watch-dog Timer, Counters, USB, Serial, Parallel, SCSI & PC Card Interface, 10/100T Ethernet, PCI local Bus Interface, VxWorks kernel, VXI-VISA Software, VxWorks drivers for I/O. Input/ Output: Multifunction I/O, 1.25MS/s, 12 bit, 64 channel Analog Inputs, 2 channel Analog Outputs, 8 Digital I/Os, 24-bit counters. 16 channel 12 bit DAC with settling time of 5 msec, 128 - channel I/O with 64 - output channels each with 250mA sink up to 42V and 64 Input channels with ± 42V with threshold settable in 250mV steps. PCI based 8 channel 460K Baud RS-422 with T/R FIFO. Conditioning: Galvanic isolation for Analog, opto-isolation for Digital signals. Protection : Over-voltage, Over-current, Over-temperature protections. Mode(s) : Master / slave, load sharing, parallel tasking, dual port transactions and bus mastering. The system has growth potential to accommodate additional or different I/Os, which may be specific to the environments. The system can be customised for typical physical, electrical and functional necessities of applications, as well as fine-tuned to achieve the desired real-time performance. This system has been customised by Aeronautical Development Agency (ADA) for the real-time Flight Dynamics Simulator (FDS) functionality to achieve 1.3 msec single step integration performances. ACL sincerely acknowledges the technical cooperation extended by ADA during the development of the system for the application. ACL can take the single-window responsibility for system study and customisations of the standard product or can participate in evolving any specific application oriented design & development. Your queries may be addressed to us, in response to which, it shall be endeavoured to provide the desired information and effectively participate in your programmes. * ACL is continuously working on improvements of its products; hence these specifications are subject to change without any notice. wherever the products are updated, the updated/revised version will be supplied. 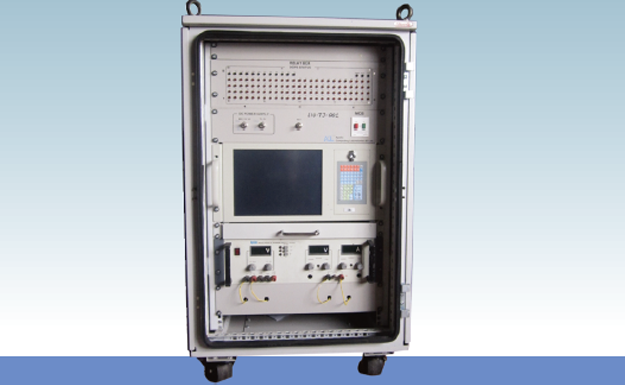 MIU Test-Jig is used for the Functional testing of Missile Interface Unit. 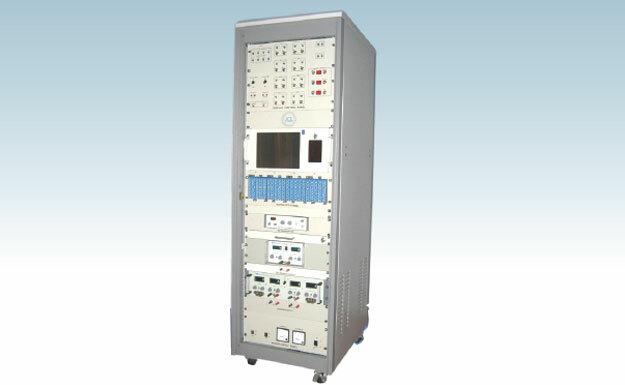 This Test Simulator Comprises of a standard 19" Rack fitted with an Industrial Computer, Relay box and linear Power Supply. The Test-Jig is configured around an Industrial PC. The Industrial PC has a 12.1" Monitor as well as fully featured Keyboard and Mouse. The PC is equipped with PCI based Add-on cards as ADC Card, DAC Card, 1553B Card and RS-422 Card. The Relay Box consists of a Relay PCB and LED PCB.The Relay PCB consists of 98 Relays.The Relays are used to load the MIU Digital O/P's.it is a double ploe double through(DPDT),Compact high performance,direct PCB mountable type and dust protected relay. A non-latchable Push Button Switch to reset MIU. Test Jig Generates RF signals. These signals are the source RF input signals to the SIB. The RF Generator will generate the required RF-LB,RF-HB1 & RF-HB3 signals for the RF Module of SIB. Frequency range is upto 20 MHz. The Circular Connector Panel and Power Supply ON-OFF switch are provided at the Rear side of the Test-Jig.